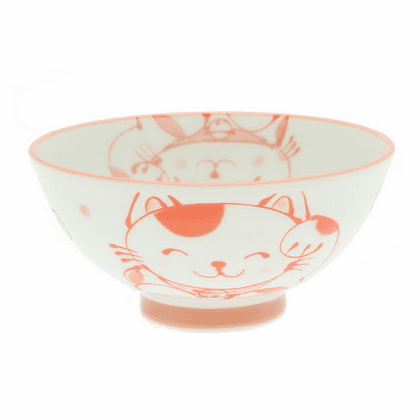 This small red and white lucky kitty ceramic bowl is 4-1/2 inches in diameter and 2-1/8 inches tall. Perfect size for the a special child in your life. Click on pictures to see detail.